Jordan Brand hit strides last month when they released their Varsity Maize Pack that includes a Jordan Big Ups, which was well-accepted in the market. This January, another Jordan Big Ups is set to make waves with the scheduled release of the Black/White-Cool Grey colourway of the shoe, which features a black upper part, white branding and midsole, and cool grey full-length Max Air cushioning. Looking for a sneaker that will provide you ample support and comfort? 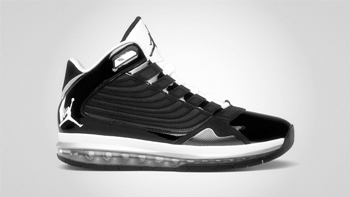 This new Jordan Big Ups shouldn’t be overlooked!